ISL 2018-19: Interview with Alwyn and Shankar - "Pune City Will Play Possession Football"
FC Pune City have made a number of new signings ahead of the 2018/19 Indian Super League season. 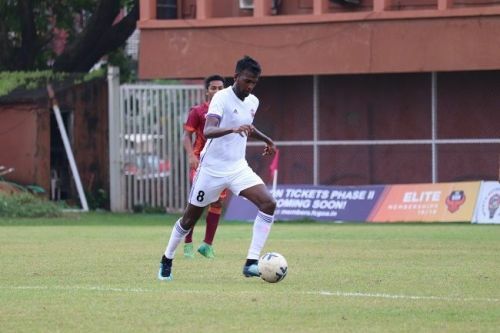 Among the many Indian players who have come on board are two midfielders - Shankar Sampingiraj (formerly of Bengaluru FC and ATK) and Alwyn George (formerly of Dempo and Bengaluru FC). Sportskeeda caught up with the two players for an exclusive chat. Here are some of the excerpts. What attracted you to Pune City? Shankar: "I had already had a word with the technical director during last year's draft. So this year, I felt like Pune City was the right club for me and that's why I'm here." Alwyn: "After Dempo, I had joined Bengaluru and played there for three years but I wasn't starting enough games. I'm hoping to give my best and play in the first XI. "It's an honour for Pune City to give me the opportunity and I'm happy to play for a club in my state. I'm excited about the new season and hope I can do well." Shankar, you have suffered two ACL injuries in the past few years. Are you fully recovered and what was the recovery process like? Shankar: "After my ACL injury, it took me a few months to recover at Bengaluru FC. I didn't play for almost a year and I joined ATK after that. "There was a lot of conditioning, training, and fitness regimes to get me back on the pitch. So it took me almost a year for me to recover from the ACL injury." What does the coach expect from you? What kind of football will Pune play? Shankar: "It's still pre-season. Right now he expects us to play good football so he can see what we're capable of. He wants us to keep the ball. It's about possession football." Alwyn: "He wants us to keep the ball and keep possession. It's something I'm used to, having played a similar way before. So it's easy for me to adapt to certain positions and different formations. Alwyn, you have a good passing range but you have struggled against physically superior players. Have you worked on that? Alwyn: "I'll have to run a lot up and down the pitch. For my role, the physicality of the game doesn't matter as much as the need to run a lot." There's a lot of competition in midfield this year at Pune, especially with Marko Stankovic and Jonathan Vila in the side. Does the competition improve you as a player? 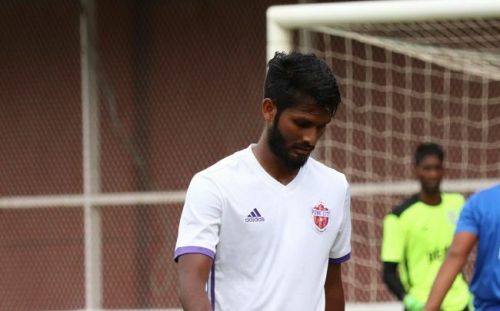 Shankar: "I have received opportunities to play in midfield and show the team my capabilities. Stankovic and Vila are very good players who guide me every day in training sessions. It's a lot of experience to contend with and I'm going to give my best for the team." What do you make of Pune's tough start? The first four fixtures are three away trips and a home game against last year's table-toppers Bengaluru FC. Shankar: "It's kind of a tough start because of the three away games and the home fixture against Bengaluru. But we're not going to think about that. We will just go there and take it a game at a time." Alwyn: "For us, every game is tough. We aren't going to take it casually. What's it like playing and training with Marcelinho and Emiliano Alfaro who were Pune City's best players last season? Shankar: "Yeah, those players are on the next level," he said laughing. "It's a learning experience for me too when playing with them. It's really hard to stop them in training sessions. "They even tell us how to go about playing our game with instructions on how to do this or how to do that. It's great to have them on our team." Alwyn: "I've been training for three weeks with them and it's going well, especially with Alfaro. He doesn't tell us immediately on the ground. But off the pitch, he tells us what to improve. So that's really good." Will the mid-season break affect teams in the ISL? Alwyn: "Yes, it could affect teams. [Teams on winning runs] can lose momentum."